Warner Bros. recently released new information regarding the retail and digital versions of upcoming title, Guardians Of Middle-Earth! The digital versions will be available from Xbox LIVE and the PlayStation Network on the 4th December for £11.99/1200 MSP. The retail version is only available for the PlayStation 3 and will be available on the 7th December. 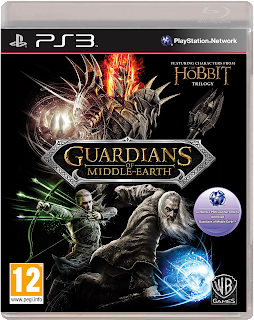 Included with the retail purchase of the game is pre-paid, discounted access to the digital content offered post-launch, along with PSN vouchers equal in value to the full game, plus the Season Pass of downloadable content. 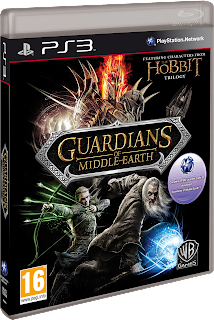 Digital content will consist of game maps, one bonus gameplay mode and several additional good and evil characters, some of which will be based on key characters in The Hobbit: An Unexpected Journey motion picture.